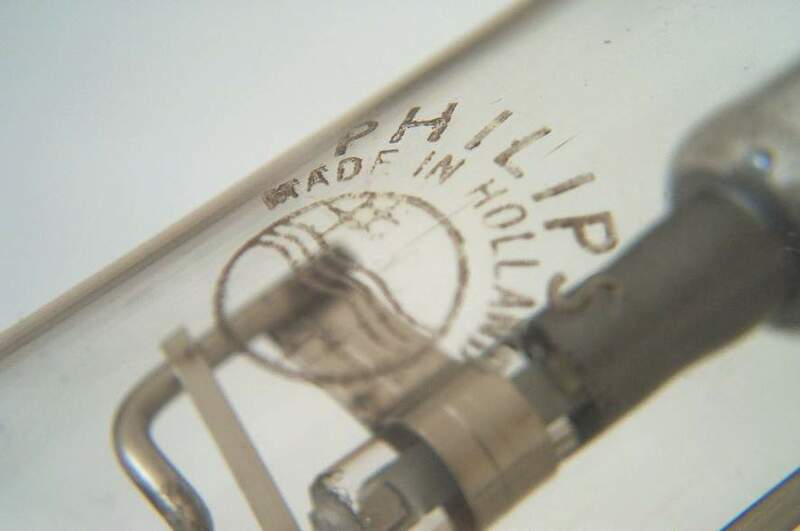 The Philips CSI lamp is a modification of the popular CS (ME-style) short arc mercury lamp. Its introduction followed the advent of metal halide additions to general lighting products, and the CSI family was Philips alternative to the popular Osram HMI and Thorn CSI/CID product groups. It employs a tri-component metal halide dosing based on the iodides of sodium, indium and thallium. At the high loadings in this lamp a near perfect colour rendering is achieved. 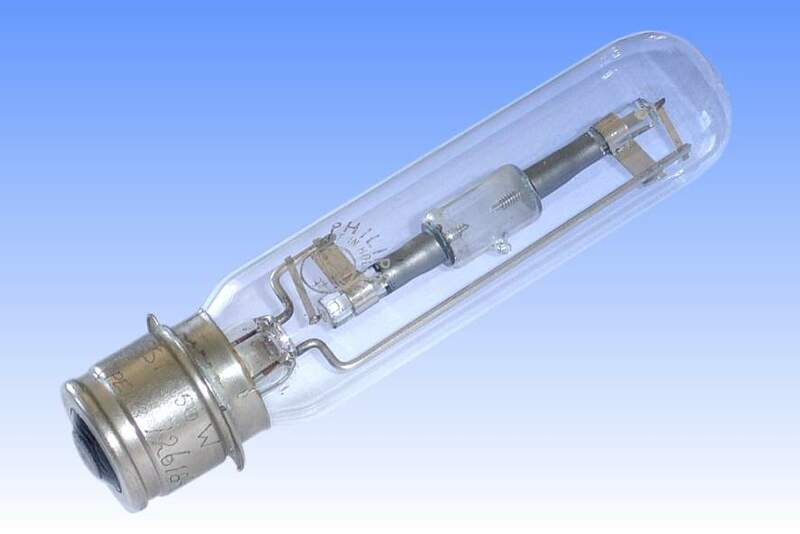 The lamp is ideally suited to professional slide projection and microscope lighting and was one of the first metal halide lamps developed for this application. 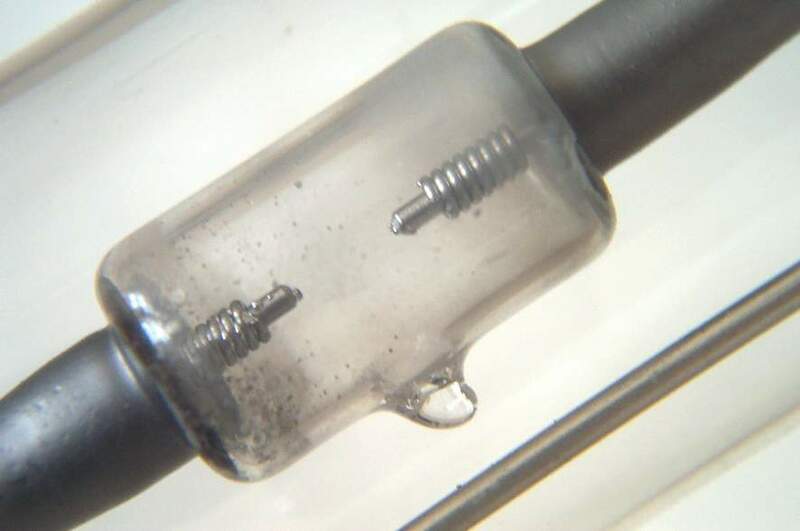 Arc tube temperature uniformity is improved here by one of the earliest known applications of a heat reflective material in the area behind the electrodes. The coating consists of colloidal graphite, hand painted onto the quartz arc tube. It will be noted however that no means has been taken to prevent sodium loss in the design of this lamp. This is partly possible because of the very short lamp life, of only 400 hours, however the colour was far from constant during this period. 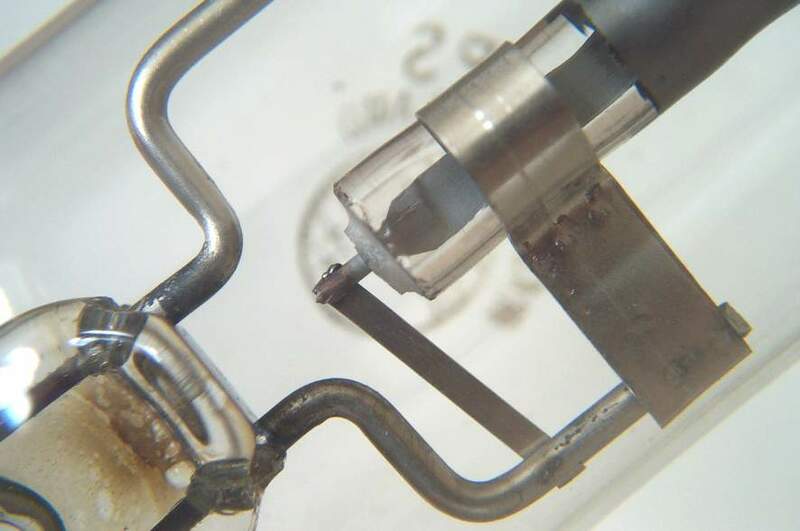 Eventually the competitive halide system based on dysprosium iodides won the favour of the short arc and projection lamp market, with better protection being provided against the effects of sodium loss. This particular Philips lamp was favourable however in certain semi-professional applications. The use of a P28s lamp cap, and light centre length and dimensions the same as an incandescent lamp, allowed it to retrofit those predecessors and still give a big boost in performance. References: 1) Philips Compact Lighting Catalogue, 1987/88.